Only from a moonwalker could such a point of view experience be related. 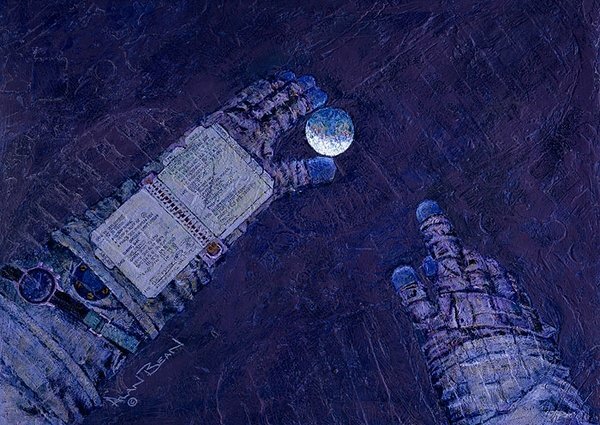 Apollo enthusiasts will also note the details of Captain Bean’s LMP Cuff Checklist are clearly identifiable in this 24" x 17" Fine Art Giclée Canvas. A quick look at his watch and reference to the checklist will let you know what activity Alan was engaged in when he took a moment to take in this view. Each "Our World at My Fingertips" is signed by Alan Bean.